The minister was almost unrecognisable with an imperial moustache, make-up and royal attire. 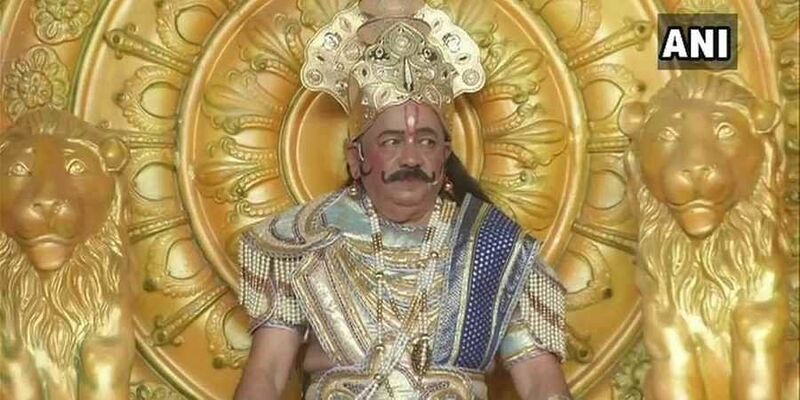 NEW DELHI: Donning traditional silk costumes, a gleaming crown and speaking chaste Hindi, Union Minister Harsh Vardhan Friday assumed a different role -- legendary king Janak of Mithila -- at a Ramlila event, and made sure he conveyed the message on importance of clean environment. The Environment Minister tried his hand in acting at the popular Ramleela depicting the life of Lord Rama organised by the Luv Kush committee in the sprawling grounds of the Red Fort. As he delivered his dialogues on the mega stage, Harsh Vardhan slipped in the message about clean environment In a conversation with Lord Rama, his character said, "I know you wish to live in a natural environment". And, if air remains clean and pure, it will lead to a healthy life, he said. Before, the start of the programme, the minister also tweeted that he was going to play the role of King Janak, father of Sita. Bhojpuri actor-turned-politician and Delhi BJP president Manoj Tiwari has also performed in previous Ramlila here, among others.